Spirit Jaguar Land Rover celebrated the launch of its luxurious new 20,000 sq/ft showroom with a special event attended by Jaguar Land Rover CEO, Prof. Dr. Ralf Speth. Located in Sandyford Business District, the new showroom is a standard bearer for customer service. 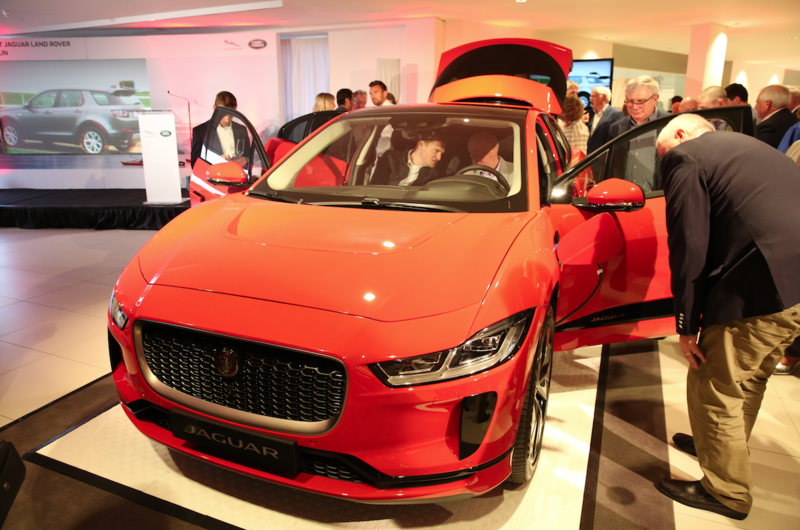 To celebrate the official opening, Dr. Speth joined the Spirit Jaguar Land Rover team in unveiling the new all-electric Jaguar I-PACE which made its public debut in Ireland. The Jaguar I-PACE is the electric vehicle drivers have been waiting for. Clean, smart and safe, the I-PACE delivers sustainable sports car performance, next-generation artificial intelligence (AI) technology and five-seat SUV practicality to place Jaguar at the forefront of the EV revolution. 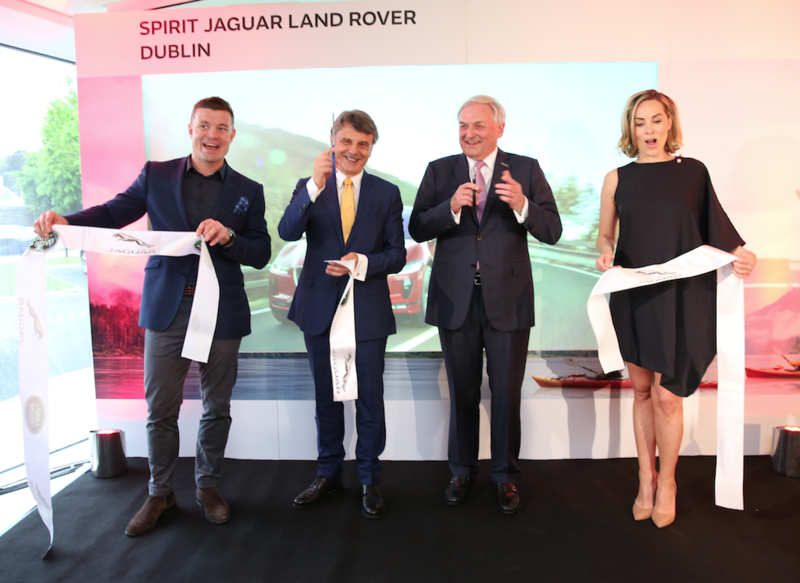 RTE broadcaster and Jaguar ambassador, Kathryn Thomas, was MC for the evening and welcomed Land Rover Ambassador and former Irish Rugby International Brian O’Driscoll, as well as loyal Jaguar Land Rover customers and enthusiasts. The new showroom is the ultimate reflection of the Jaguar Land Rover ethos, offering customers a truly premium sales and ownership experience. Over the last 12 months, the Spirit Jaguar Land Rover showroom has been transformed into a landmark building in the local community with a warm, refined and eye-catching design, featuring free wi-fi, a coffee bar and a relaxed lounge-style waiting area. Spirit Jaguar Land Rover customers are treated to the full range of Jaguar Land Rover vehicles with 7 Jaguars and 7 Land Rovers on display in addition to an Approved used car showroom, accommodating 8 vehicles. In addition, electric charging points have been installed throughout the site to facilitate Jaguar Land Rover’s range of electric and hybrid models. The site boasts more customer parking spaces as well as a thoroughly modern and luxurious design developed with the help of architecture firm Paul O’Loughlin & Associates. Spirit Jaguar Land Rover has also included new handover bays, where customers receive a VIP handover experience before driving straight out of the showroom. A new lounge-style waiting area is complemented by a barista coffee bar and free wi-fi, while a state-of-the-art colour and trim space gives visitors the perfect opportunity to ensure they can specify their new Jaguar or Land Rover exactly how they want it. Next articleTest A New BMW For 24 Hours!